Although happy with the delivery time and price the battery seems to be faulty as it wont fully charge. Will contact Tanya as soon as I can but not too happy.No doubt will have to send it back, so bike off road Hassle, not what you expect when buying "quality" item. 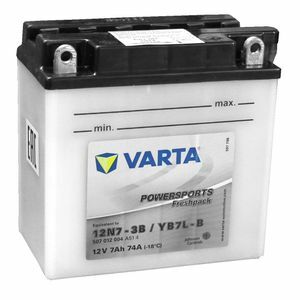 Thanks a lot, Tons of information about size of battery on the site, very helpful. Battery arrived really quick and was an excellent price, Very happy. Great Battery, good packaging and amazingly fast delivery service! Delivery was prompt and the battery arrived in good condition. EXCELLENT FAST AND EFFICENT SERVICE.